Heard a really good song today…Watch Over You by Alter Bridge. It is amazing how a song can make you feel or the memories it can invoke. For me, the singer is the key…with the voice being, in my humble opinion, the greatest instrument in the world. I really appreciate when I can truly feel the emotions a singer is trying to express with their voice…couple that with a nice melody and for me you have a winner. Of course it doesn’t hurt if there is a soaring guitar (2nd greatest instrument) solo or crunchy, chunky overdriven rhythm guitar parts…the louder the better. 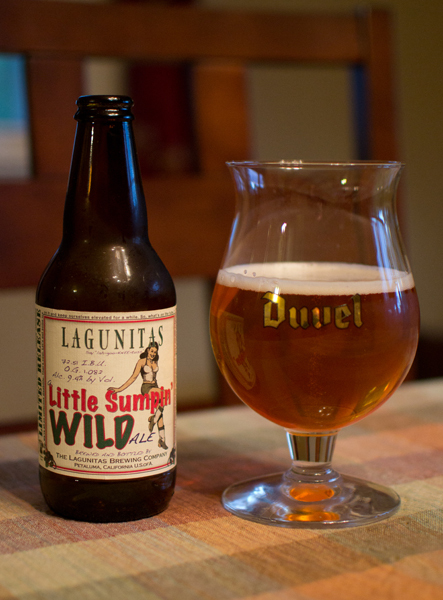 Beer #326 is A Little Sumpin’ Wild Ale by Lagunitas Brewing Company from Petaluma, California. 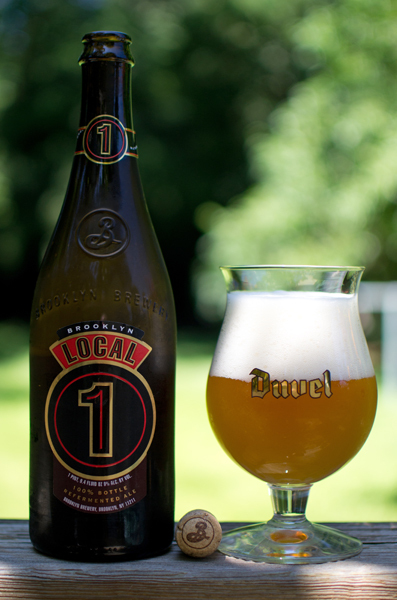 This Belgian Strong Pale Ale has an ABV of 9.4%…yowzers! Lets see how it compares to A Little Sumpin’ Sumpin Ale that I had a few days ago which was absolutely fantastic. Appearance -Golden orange color with a tiny white head. Nose – Citrusy…nice orange aroma. Some honey and pine and spices such as cloves. A tiny bit of banana. A funky Belgian style yeast smell also. Taste – Spicy…pepper and cloves come to mind in the taste first. There is a slightly sweet caramel malt backbone here that I didn’t get in the nose. Pretty fruity mid-drink with orange and even the rind of the orange flavors. The bitter pine goodness of the hops is apparent towards the back end. Lots going on here but it all mixes really well. The alcohol is hidden really well also…I wouldn’t have guessed it was 9.4% ABV. Mouthfeel – Medium body, slightly sticky. A decent amount of tight, tingling carbonation. Excellent bitterness throughout. Overall – Another delicious brew from Lagunitas…man they are making some good beer in Petaluma! I like the citrus qualities infused into this Belgian Strong Pale Ale. If you can find it…definitely give it a try! 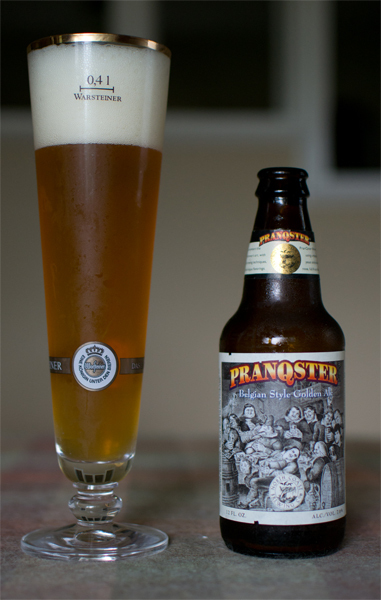 Beer #259 is Pranqster by North Coast Brewing Company. Hailing from Fort Bragg, California, North Coast brews this beer in the style of a Belgian Strong Pale Ale with an ABV of 7.6%. This brew poured a golden yellow with quite the fluffy white head. It was most definitely enhanced in my tall pilsner glass. It had quite a grainy nose with a bit of grass and wheat, lemon and very yeasty. It tasted very bready, had a nice lemon flavor, traces of what I thought was honey and some apples…all of it finishing a bit on the dry side and slightly bitter. It had a nice medium body, lots of carbonation and was quite refreshing. A nice solid beer to while away a rainy Sunday afternoon…watching movies of demonic possession. A day off on a beautiful summer day for me usually involves mountain biking. Off to Six Mile Run Reservoir for some nice twisty, flowing singletrack. There is nothing to technical here other than a few log piles, roots and a few man made log bridges over streams. It rides fast and has good flow. After 12.5 miles of grinning like a fool in the woods (including one tumble into a small ravine filled with sticker bushes), I was hungry. I love burritos and a beer after a ride, so I picked both up. Into my tulip glass it went with a nice orange/gold color. The head was glorious being white, fluffy, and huge. The head seemed to go on forever and it left some really nice lacing behind. This had a really nice and complex nose with aromas of orange, cloves, lemon, floral, tropical fruit, and a bit of banana. It tasted liked it smelled with the inclusion of a nice peppery flavor along with a breadiness. This had a lot going on in the taste. The alcohol was hiden nicely but started to make an appearance as it warmed up. It finished a bit dry and had a bitterness in the aftertaste that tended to linger on. 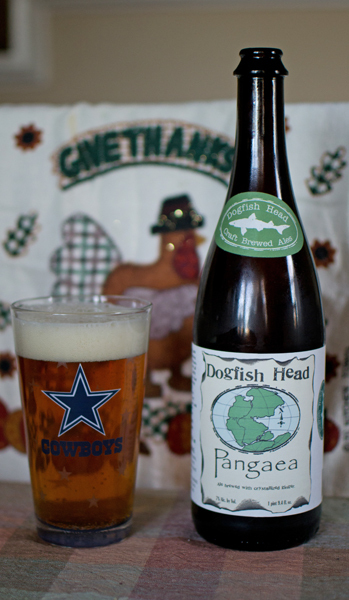 It had a nice medium body with a smooth and creamy feel with ample carbonation. Overall an excellent beer and maybe my favorite from Brooklyn Brewery. This was a great after ride drink and a great way to start the holiday weekend to celebrate the birth of the the USA. Happy Father’s Day to all who are fathers! I am not a father, unless you count three cats, they seem like kids to me anyways. My father is no longer here and today is always a bit sad for me. Anyways, I found a new liquor store today, Wine World on Route 18 in East Brunswick, New Jersey. Their employees seem knowledgeable in all things beer and they have a decent selection of craft brews for one to enjoy. Check them out if you are in the area. 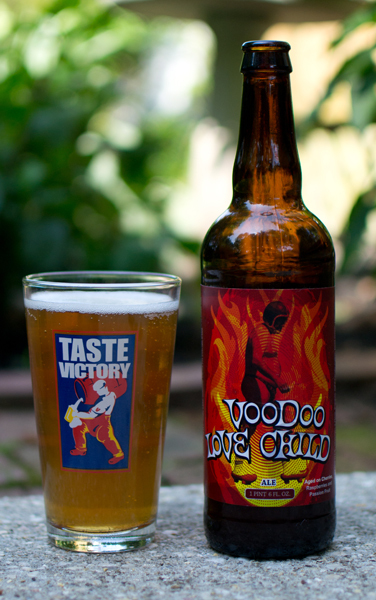 Let me introduce beer #203, Voodoo Love Child by Voodoo Brewing Company from Meadville, Pennsylvania. With an ABV of 9.5%, this Belgian Strong Pale Ale poured a clear honey color with a thin white head. Lots of cherries and raspberries in the nose with a faint alcohol aroma. Cherries…raspberries…I love both and was anticipating tasting this brew. And taste it I did…the cherries (kind of tart) were there but nearly as sweet as the nose indicated. I didn’t get any raspberry in the taste…shame. There was some toasted malts mid drink and it finished with a nice bitter hoppy bite. Medium bodied, lots of carbonation, and a crisp finish coupled with the alcohol not being all that noticeable in the taste, make this pretty drinkable for me. This was a very nice beer to while away a lazy summer day reading a book of fiction about a very likable serial killer, Dexter. A great Showtime series and even better books. Vive la France! I guess that is a hint as to where tonights brew is from…France. Beer #120 is Belzebuth by Brasserie Grain d’ Orge from France. 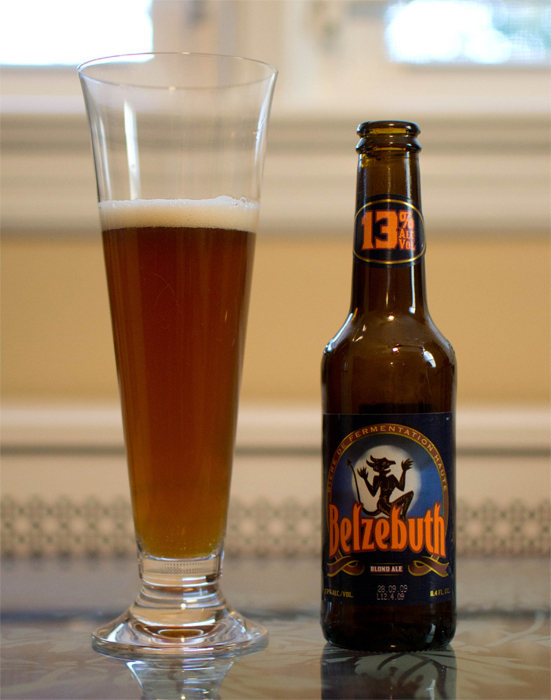 They brew Belzebuth in the style of a Belgian Strong Pale Ale and strong it is with an ABV of 13%. Interesting thing is Belzebuth, among other things (evil things that is), is a long haired spider monkey from South America. I pulled out a pilsner glass, I know it isn’t the proper glass, but I like the way my Lenox pilsner glasses look. And I look damn cool drinking from them…weather it is beer or water. So into it went this brew which was a dark orange or amber color. It had a small white head. The nose was sweet, fruits and malts, like a peach or apricot (fruit cocktail in a can is another way to describe the nose). It smelled thick and syrupy and very boozy. I took a sip and the sweet fruitiness from the nose is there along with the alcohol. That alcohol packs quite a punch. The mouthfeel is on the heavy side and is indeed syrupy. It coats the tongue and mouth very well. Tis a sipper for sure. Even know it was only an 8.4 oz bottle, the alcohol was having its way with me and I was feeling quite jolly halfway through. I kind of liked this, not as an everyday session type beer but more of a late night, once in a blue moon, kick back and relax sipping drink. I’m not a drinker of hard liquor (scotch, whiskey, etc.) but I could see myself drinking this as someone would drink them. I guess you could say it would make a good nightcap. Another lousy gray winter day here on the East Coast. It started with snow, then ice and finally rain. Spring can’t get here soon enough for me. I wonder how many days until pitchers and catchers report? Lets go Yanks!!! Beer #51 is my first from the Far East, Japan that is. 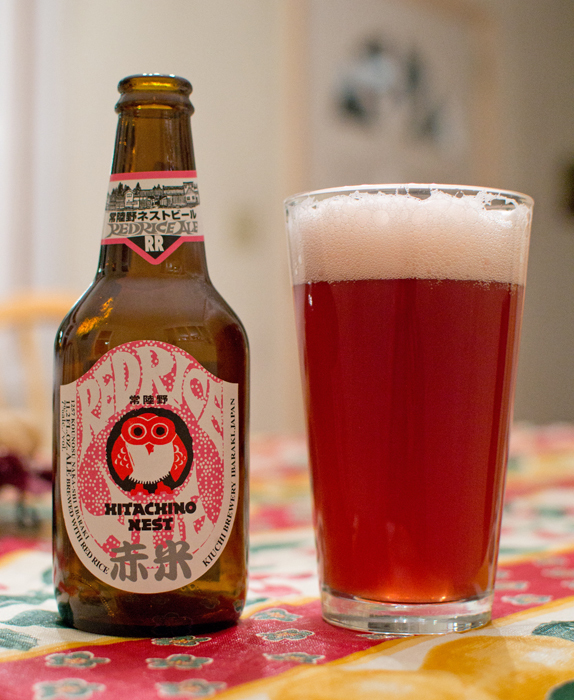 Hitachino Nest Red Rice Ale by Kiuchi Brewery, a Belgian Strong Pale Ale with an ABV of 7%, seemed like a nice choice when I picked it up. Was it? Lets find out. I know, I need some different glassware, so I pulled out my Cape Cod Beer pint glass. For the time being, the Starr Hill glass will go back on the shelf. Hitachino Nest poured a cloudy reddish brown color with a nice big head. It had lots of those tiny little bubbles rising to the top. All of that carbon dioxide trying to escape brings a tear to my eye…not really…it just looks really cool. Dipping my nose into the glass I picked up a very sweet fruity aroma, it reminded my a bit of strawberry soda. I also got some nice raspberry aromas. All of this was a bit odd to me. I haven’t smelled a beer quite like it. Down the hatch it went and I tasted a spicy, malty, fruity concoction that finished of a bit bitter and dry. There was an odd aftertaste that I could not identify. A light bodied brew in the mouthfeel department, nice carbonation and fairly smooth overall. If this has 7% alcohol in it, you would never be able to tell, at least I couldn’t. One thing about this brew, it got better as the drink warmed up. First off, I wouldn’t really consider this a Belgian Strong Pale Ale. I’m not really sure what style this should be considered. It was an odd beer unlike anything I have ever had before. It really wasn’t that bad, just different. Would I get this again? I think so. If you ever see it, give it a go. You just might like it…like Mikey!